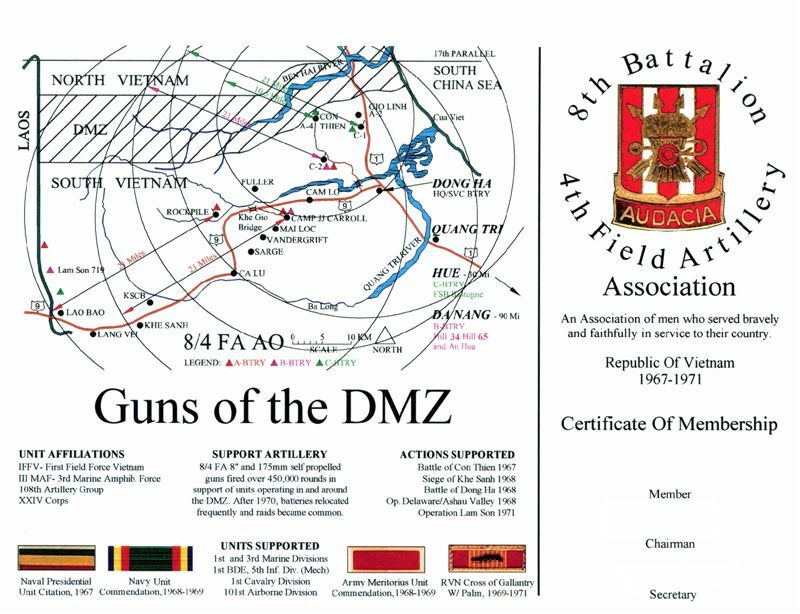 Below is a display of the Membership Certificate which is issued to all dues-paying members of the 8th Battalion 4th Field Artillery Association. The file size of the original image from which the certificate is printed is is approximately three megabytes, and is too large to display on the internet. However, this condensed file will give you a preview of the overall appearance of the original certificate which is printed on quality card-stock paper. Our thanks goes to Fred B. James, a licensed architect and a veteran of the 8th Bn 4th Arty, who designed the certificate.